South Texas Carpet Specialists, Inc. Carpeting has few drawbacks. It's soft, beautiful, versatile, and inexpensive when compared to most flooring options. The one major drawback is that it does require a good amount of maintenance and care. While carpet won't last as long as hard-surface floors in even the best of conditions, properly maintaining you carpet can extend its lifetime by as much as 5-10 years. Each carpet fiber, padding, and design has its own quirks, but there are a few general things you should know about cleaning and maintaining your carpet. Many homeowners think diligently vacuuming their carpet is enough to protect it and keep it going for the long haul. Even if your carpet looks clean, this simply isn't true. The carpeting industry recommends you have your carpet deep-cleaned, either by steam cleaning or specialized dry-cleaning methods, every 12-18 months. In reality, the average homeowner actually has their carpet cleaned once every 7 years. Though the high temperatures and dry climate might present Alamo City residents with problems in other areas of the home, because of these conditions, San Antonio carpet cleaning is a little easier than it is in other areas of the country. Since both extremely wet and extremely cold conditions are next to non-existent in San Antonio, carpet cleaning is not needed as frequently as it is in areas where tracked-in mud, salt, and snow is an annual factor. Even though San Antonio carpet cleaners are probably not as busy as those in Minneapolis or Philadelphia, calling them for service at least once a year does have its benefits! There are two types of carpet cleaning. General cleaning will help remove the microscopic dirt and grime lingering deep within your carpet fibers. Specialized cleaning can help fight stains and odors that you may have trouble removing on your own. You need to be careful trying to removing stains on your own. 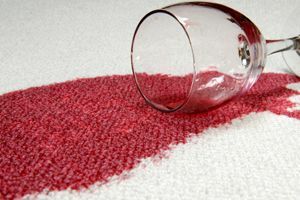 The wrong cleaning solution or technique may do nothing more than spread and/or set the stain, making it impossible to remove. Odors, too, need special consideration; if you get your carpet too wet you may further unleash the odor into your home. Professional San Antonio carpet cleaners are experienced in general cleaning as well as removing all kinds of stains and odors the right way. Though you can certainly go to the local grocery store or home improvement center and rent steam cleaning equipment, the hassle of transporting it around town coupled with rental costs, the expense of purchasing the right cleaning products, and the less-than-professional results most of us get by doing the job ourselves all make a good case for hiring a pro. Add in the fact than most San Antonio carpet cleaners are also able to perform minor carpet repairs like burn removal, patching, and stretching, and the only reason to go it alone left is really the price. HomeAdvisor tracks each and every home improvement we process. According to our figures, the average San Antonio carpet cleaning service costs about $150. This is slightly below the national average. When you compare this price to the cost of renting your own equipment, buying your own cleaning solutions, and carting the whole kit-and-kaboodle around town, many folks find that hiring professional San Antonio carpet cleaners is actually pretty reasonably priced. Costs will certainly vary depending on the size of the job and a few other factors, so plan on about $.30/sq. ft. for a 1000 sq. ft. area. Keep in mind, that much of the cost for hiring a San Antonio carpet cleaning company is transporting the equipment to your home and, of course, their time. This means they may give you a discount for larger jobs, and they made need to charge more per sq. ft. for smaller jobs to make them economically viable. Many homeowners are reluctant to engage in a major home improvement project because of the time and inconvenience it puts on your day-to-day life. When you put in a request through HomeAdvisor, San Antonio carpet cleaning is far from a hassle. One local homeowner told us: "The cleaner called me in less than 5 minutes after the request was made and serviced my house the same day." If you're not in any hurry, you might wait to get different quotes from multiple companies, but if you want your project done now, there's a good chance HomeAdvisor can have your carpets cleaned in short order, and at a great price, too! Comment: outdoor patio furniture that needs to be cleaned, sofa, loveseat and two chairs with ottomans. the material was brand new less than two years ago. Comment: Iâm moving in a rent house and need to clean my couch before I move in Horrible pet smell. Needs a good cleaning. Comment: I need a couch an 2 recliners cleaned. San Antonio Carpet Cleaning Services are rated 4.88 out of 5 based on 704 reviews of 25 pros. Not Looking for Carpet & Upholstery Cleaning Contractors in San Antonio, TX?